Now iPhone users can Unlock Out of Contract iPhone for Free through AT&T's Online Chat procedure. AT&T is now offering free service to unlock iPhone handset for their users from all over the world by changing the company's policy of unlocking off-contract iPhone smartphone's due to the increased pressure from the general users and even Apple itself. Users can now unlock their off-contract iPhone's by going to the AT&T store or can follow the step by step guide posted below to activate it via internet from PC. There are several other ways to Unlock AT&T Off-Contract iPhone's either by going to AT&T’s technical support staff, other method is to visit an actual AT&T store and third method is to unlock your iPhone by simply using AT&T’s online chat support guide. So in this post you will learn How to Unlock Off-Contract iPhone's by using AT&T' Online Chat Support method. Normally, it takes about 10-20 minutes to unlock your iPhone. Check out the following guide to start unlocking your iPhone now. How to Use AT&T's Online Chat Support to Unlock iPhone? Remember: This is an IMEI unlock method which will not require to restore your iPhone, so you should not be worried about iOS updates. Follow our step by step guide to Unlock your Off-Contract iPhone through AT&T website officially. In the chat you will need to explain the details about your iPhone, also mention the IMEI number of your iPhone which you noted in the first step. 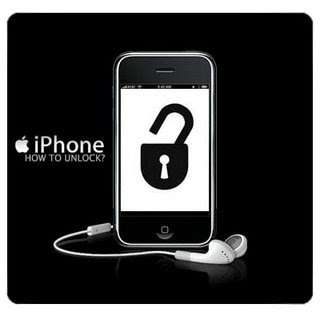 After checking the details, if your device will be eligible for unlock, the representative will ask your Email address. Please give the correct Email address in order to prevent any problem. They will Email you with the details for Unlock procedure. However, this may take a week or more to fulfill the unlock procedure.